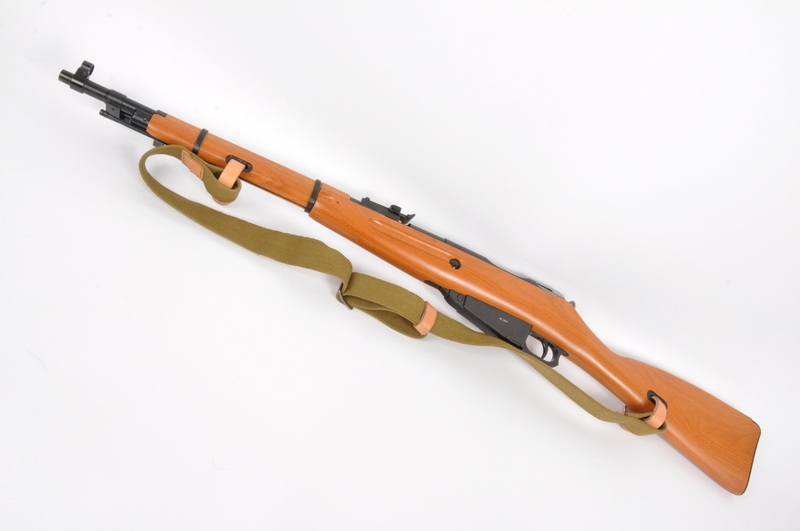 The Shooting Party have announced the arrival of the final “limited edition” stocks of the AirForceOne ‘Mosin Nagant’ M1944 CO2 steel ‘BB’ rifle, calling it a “great tribute to a Russian legend.” The AirForceOne version of this Soviet army classic is a 16-round steel BB repeater offering impressive velocity of up to 400 fps. The M1944 is equipped with a metal barrel, slide, beautifully engineered bolt mechanism and magazine. The Mosin-Nagant weighs a hefty 8lbs and is powered by a single 12-gram CO2 capsule which returns over 40 shots. It also has an integral folding bayonet with a cruciform blade attached to the barrel. Included in the package is a built-in magazine, and a reproduction canvas and leather strap.